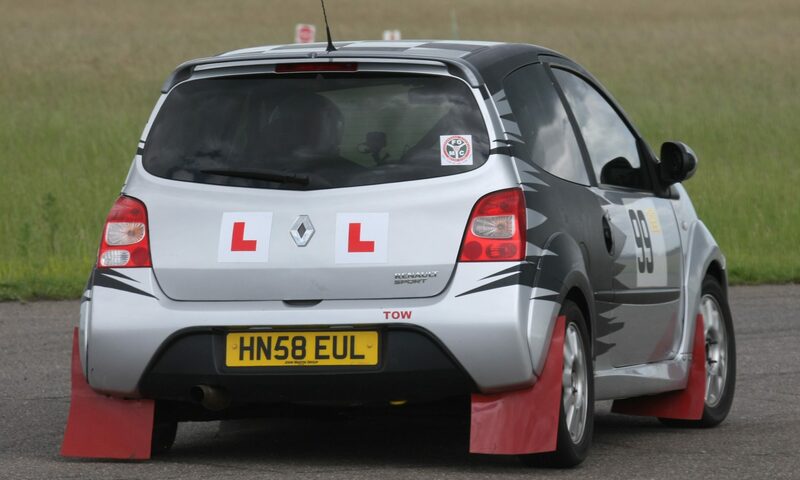 Farnborough District Motor Club (FDMC) brings the world of club motorsport to Hampshire & beyond. 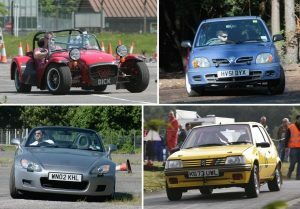 We’re one of the area’s most active clubs, with events including sprints, Solo / Autosolo events, slaloms, autotests, car trials, and, with Sutton & Cheam MC, the unique Abingdon CAR-nival weekend. You can enjoy any of these, as a competitor, with an ‘everyday’ roadgoing car or one prepared for competition, or by getting involved with organisation and marshalling. Members can also compete in the events of other local motorsport clubs and, through the region’s Area Association of Motor Clubs, in larger events throughout southern England. Learn more by browsing this site, and our Forum, or from the contacts on our Committee or Contact Us pages. Social events are centred around club nights, on the second and fourth Tuesday of the month, at our regular meeting place: The Plough and Horses pub, 90 Fleet Road, Cove, Farnborough, GU14 9RG. Copyright Farnborough District Motor Club Ltd, 1999 – 2018. Formed in 1958, through the subsequent decades FDMC developed a growing band of competitors and calendar of events, including the Winter Mixture road rally, Dimanche Tour and Summer Sort Out special stage rallies, Barley Mow autocross, Sprint Royale, Rotherfield Park hillclimb, PCT’s, and autotests. Among the current wide range of activities, the largest event, in collaboration with our partner clubs, is the Abingdon Motorsport CAR-nival. Further FDMC events, as you can see on the Calendar and Event Reports pages, include, each season, two Sprints, several AutoSolos, Twelve Car navigational road rallies, a loose surfaced Slalom, and the members-only Boxing Day autotest. Through our membership of the ACMSC and ASWMC, members can also take part in many events run by other clubs, across the south of England and beyond. New members are always welcome, and there are lots of opportunities to get involved, on the competing or the organising side, or both! Our annual membership fee is just 20 pounds single, or 25 pounds joint (husband / wife / partner). Join here. Membership is subject to the club’s rules, which are available here, FDMC Rules. Farnborough District Motor Club Ltd is a company limited by guarantee, registered in England, registered number 3297770, with registered office at 2 Broom Way, Blackwater, Camberley, Surrey, GU17 9DJ. Our annual membership fee is just £20 single or £25 joint (husband / wife / partner). To join, print out this application form, fill in the details, and send it with your subscription to our Membership Secretary, at the address on the form (he can also arrange a Proposer and Seconder). – Drop in on our next Club night, at the Plough and Horses pub, 90 Fleet Road, Farnborough, GU14 9RG; normally on the second and fourth Tuesday of each month, from about 9 pm, but check our ‘News and Social’ page for any variations. Membership is subject to the club’s rules, which are available here. This page covers FDMC’s policy on Privacy and General Data Protection Regulation (GDPR). GDPR is a new EU law that came into effect on 25 May 2018 to replace the existing Data Protection Act. FDMC respects your privacy and we will only use your information in the way we describe in this notice. When using your information we aim to be fair and transparent, and to follow our obligations under UK data protection laws. Your information is used for administering club membership, activities and competitions. FDMC is the data controller for the purpose of GDPR and the Data Protection Act 2018. Our address is 2 Broom Way, Blackwater, Camberley, Surrey, GU17 9DJ. Our club contact for privacy and data is our membership secretary. We collect your information when you fill in membership application or renewal forms, and competition event entry forms. You can give us your information using paper forms or online forms. The information you give us may include your contact details (name, address, telephone number, email address), personal information and identifiers (date of birth, membership number, competition licence number), and other information (vehicle details). When you give us information about another person, such as a child, parent, guardian, or emergency contact you should let that person know that you have given us the information. If you are under 18 years old, we will also ask for information from your parent or guardian. We use your information when you first apply to become a member of FDMC and then to administer and renew your club membership, and provide you with member benefits. We also use your information when you enter club events. For competitions, we will publish some of your information in the programme and the results, which will be in the public domain. You information is used in these ways to fulfil our contract with you. To support your lifetime relationship with motor sport and FDMC we may keep your information indefinitely, unless you ask us to delete it.
. You may ask us not to process your information for marketing purposes.
. You are entitled to a copy of the information we hold about you, and to ask us to correct any inaccuracies.
. You may ask us to stop using your information, and to delete it, although we may maintain a skeleton set of your information. If you ask us to do this we will not be able to continue our contract with you.
. You may make a complaint to the Information Commissioner (www.ico.org.uk). This privacy notice was last updated on 04 May 2018, and any changes will be communicated to you. If you’d like to get in touch with the Club, we have many members who you can contact for more information, check regulations, advice on car prep and entering events (etc etc). One easy thing to do is to pop down to our regular Club night which takes place on the second and fourth Tuesday of the month at The Plough and Horses pub, 90 Fleet Road, Farnborough. Alternatively, below is a list of people and subjects if you wish to make direct contact (during sociable hours please) or to chat with over a pint at the next Club Night. Just be a little careful, in case one of them tries to sell you a ‘suitable’ car. You can also find out more, on many aspects of motorsport, by browsing our Forum. And, by registering as a user (which doesn’t require you to be a member ), you can post your own questions there.